Happy Sunday, February is almost over! To me that is a clear sign that Spring is near! It also means that March is close upon us and most of the birthdays in our collective families are here. This one is for my Sister-in-Law and I used some of my new Hero Arts goodies! 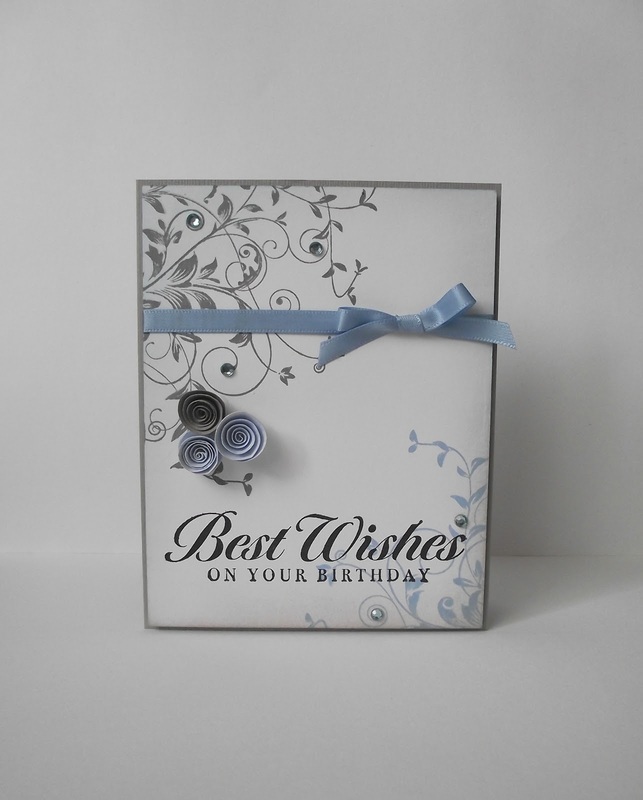 Such an elegant card you created here Kim. I love those little roses! Thank you so much for letting me know, i didn't realize that I had not disabled that. I just did, I really appreciate it! 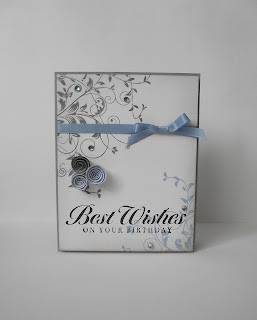 Kim, I love this card so much I think that I am going to try this color scheme and your inspiration to make a card of congratulations, for dear friends who are newly engaged. I love your work. I am a new blog follower as of today. PS: Getting a new puppy today...a rescue border collie/sheltie mix.